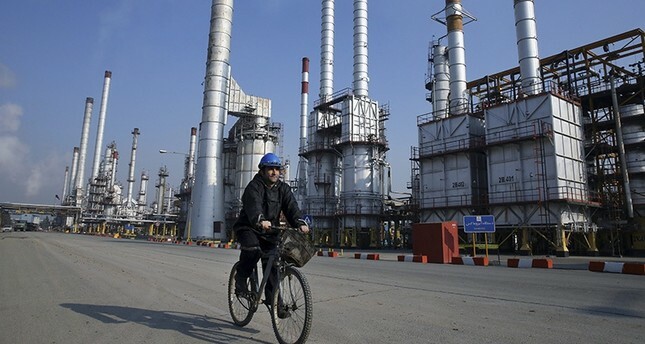 Economy Minister Nihat Zeybekci said Friday that Turkish companies aim to take part in renewing Iran's technologically aging oil refineries. According to an article published on Turkish daily Habertürk, Zeybekci stated that Turkey will send five additional trade counsellors to Iran, who will be accompanied by five local employees in a bid to deepen trade ties between the two countries after the removal of international sanctions against Iran. Zeybekci pointed out that he will assume the co-chairmanship of Joint Economic Commission established with Russia and Iran. The minister added that the Turkish Eximbank will play a new role in trade through new financing models in which the bank will play a supportive role of an insurance company. Minister Zeybekci also met with Turkish contractors again on Friday paying a visit to congratulate him for his new duty. In the meeting, contractors reportedly asked Zeybekci about the current status of relations with Russia, Iran and Libya, where the projects of Turkish contractors were affected by diplomatic spats and domestic turmoil. Following President Recep Tayyip Erdoğan's visit to the eastern African countries of Uganda, Kenya and Somalia last week, contractors also expressed their wish to take part in prospective sectors in Africa like tourism, energy and agriculture other than construction.